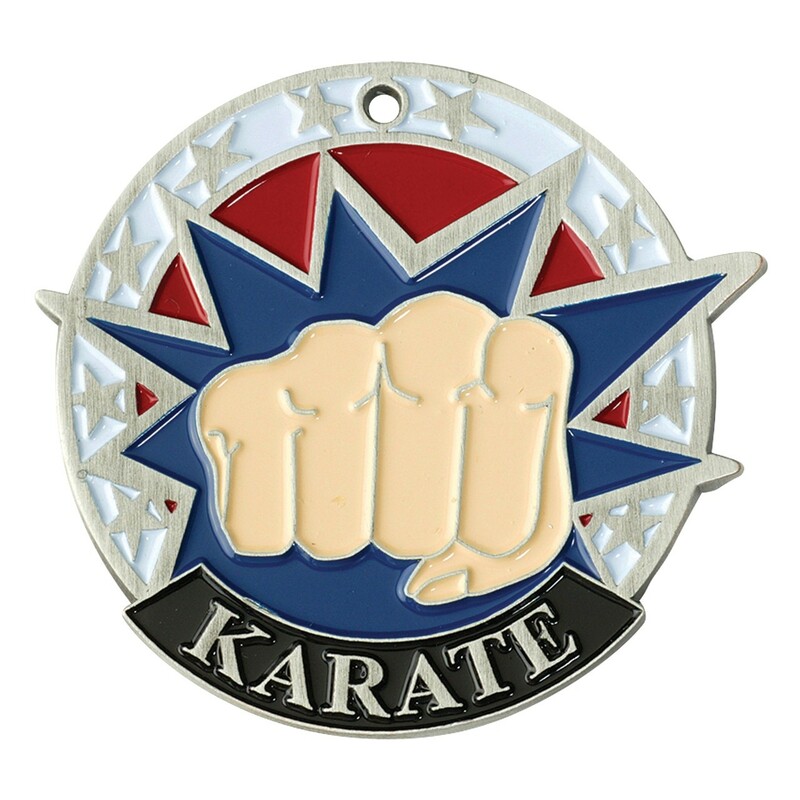 Karate is not about learning to fight, but more about discipline and technique. 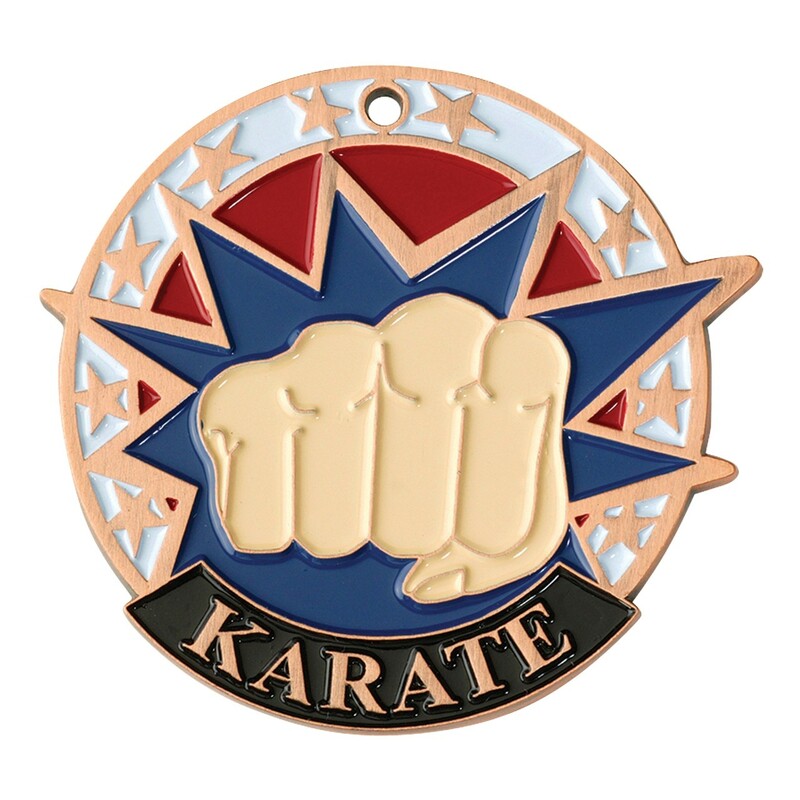 With the Patriotic Punch Karate Medallion you can reward your recipients for their accomplishments and advances with these lessons. 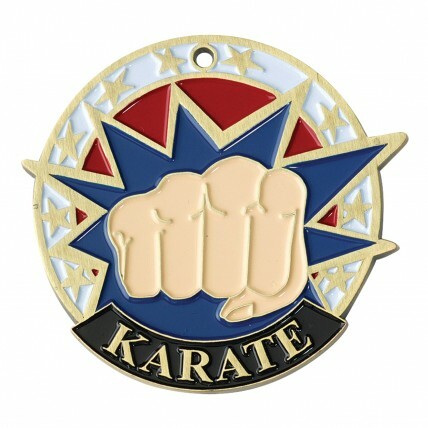 This medal features a punch forcefully bursting through a patriotic background. 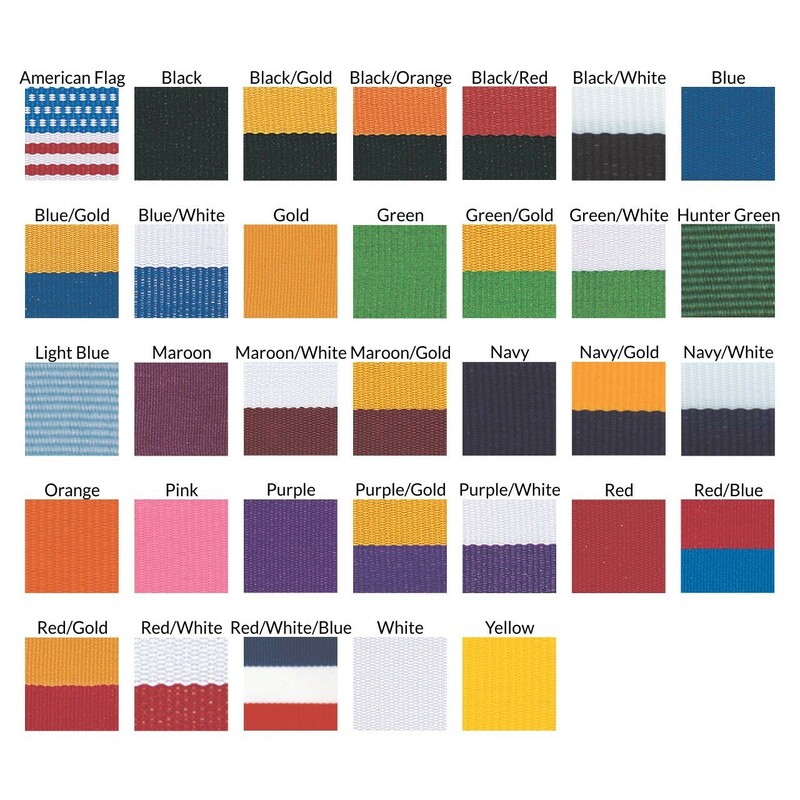 Complete with your choice of neckdrape and metal color, this medal is a great way to encourage the recipients to keep working hard and recognize them for all of their achievements.